If you wish to start a business venture and settle in the Republic of China (ROC, Taiwan), you may apply for a Resident visa for Entrepreneurs. You must set up a company in Taiwan with at least NTD 500,000 in paid-in capital. In the second year, in order to renew your residency permit, your company needs to reach a turnover of at least NTD 3,000,000. Alternatively, you can get an entrepreneur visa, if you get funding, via foreign or domestic venture capital or any government recognized crowdfunding platform of at least NTD 2,000,000, or participating in a national entrepreneurial park such as the Taiwan Startup Stadium or holding patents in or outside Taiwan or winning startup or design competitions such as IDG Demo Show, Red Dot, iF design, or investing at least NTD 1 million in an innovative project. Fulfilling one of the above conditions, will entitle you to get a 1 year residency visa. To apply for an extension, your business venture must reach the NTD 3,000,000 turnover requirement (previous year or 3-year average), or business expenditure of at least NTD 1,000,000 (previous year or 3-year average) or employ at least 3 ROC nationals or demonstrate some other category of operational performance that leads the competent authority to determine that the enterprise is making a positive contribution to Taiwan’s economic development. Note that for each business venture there are three resident visas available. Your dependents may obtain residency, tied to your residence permit. After 5 years of consecutive legal residency, you may apply for a permanent residence permit. To qualify, you must have been physically present in Taiwan for at least 183 days each year and your monthly income must be at least twice of the minimum wage set by the council of Labor Affairs and your net worth must be valued at over NTD 5,000,000. Alternatively, you may apply for Permanent Residency if you have invested NTD 15,000,000 in a business and created 5 full-time jobs for ROC nationals over 3 years or have invested 30,000,000 in ROC government bonds for over 3 years. Under this scheme, you will not be required to be physically present in Taiwan during your residency. After 5 years of consecutive legal residency, you can also apply for naturalization. Each application is handled on a case by case basis, but usually you will be required to be a tax resident for at least 5 years, no criminal background, as well as pass an exam of Chinese-Mandarin language, laws and regulations, be a skilled professional and ability to support yourself financially (twice of the minimum wage and net worth over NTD 5,000,000). -	A photocopy of the corporate registration document (or equivalent written evidence of lawful establishment), or document confirming amendment of the corporate registration document, of the domestic or overseas venture capital firm(s). -	A detailed breakdown of share subscriptions paid by shareholders from the legal representative of a newly-established startup (in existence for less than one year) in which a domestic venture capital firm(s) has invested. -	A detailed breakdown of share subscriptions paid by shareholders from the legal representative of a newly-established startup. -	A photocopy of a document issued by an overseas competent authority authorizing the overseas venture capital firm to undertake investment activity. -	Documentary evidence verifying the securing of funding from a government-approved international fund-raising platform. -	A photocopy of the collaboration agreement, contract or MoU etc. (covering the provision of incubator services, operational guidance, or business cultivation etc.) signed by the applicant and the park or incubator in which the applicant has received approval to locate itself. -	A photocopy of a patent certificate issued by Taiwan’s Intellectual Property Office, MOEA or a photocopy of a patent certificate issued by a patent issuing agency in a foreign country. -	A photocopy of an iF Design Awards award certificate. -	A proposal for an entrepreneur venture in Taiwan that has been approved by the Taiwanese government. -	An investment authorization letter, and a letter confirming the amount of investment, issued by the government agency responsible for approving foreign investment (or another agency commissioned to undertake this task on its behalf). -	The corporate registration document (or document confirming amendment thereof) or permit allowing establishment of a foreign-owned company (or document confirming amendment thereof). Dual citizenship is recognized in Taiwan. You are not required to renounce your previous nationality to become a citizen of Taiwan. The Republic of China, usually called Taiwan, is a partially recognized sovereign state in the Far East of Asia. It has maritime borders with China (officially the People’s Republic of China) to the west, Japan to the northeast, and the Philippines to the south. 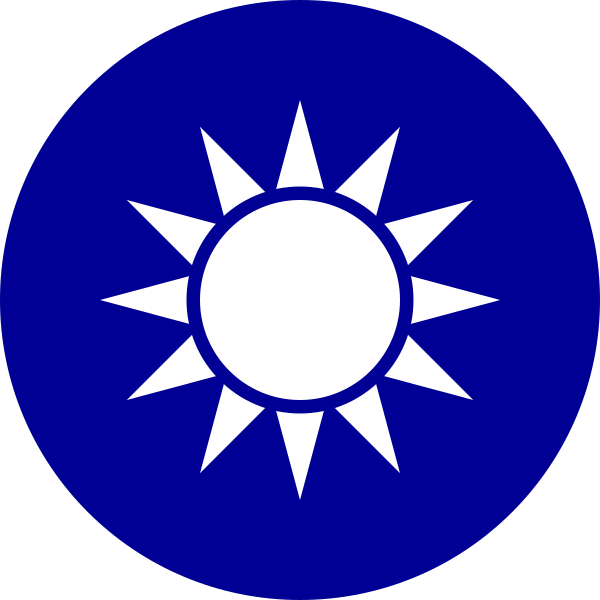 The Republic of China only manages several islands, mainly the island of Taiwan (or Formosa), along with several small archipelagos such as the Penghu (or Pescadores Islands), Kinmen (or Quemoy), Matsu, Pratas and Taiping. Taiwan is not a member of the United Nations, being the most populous state and the largest economy of the states outside of the UN. The state has about 23 million inhabitants. Its capital is Taipei, and its most populated city is New Taipei City, which surrounds the capital. Its official language is Mandarin Chinese, along with other recognized languages such as Hokkien, Hakka, Formosan languages and Yami. Its official currency is the New Taiwan Dollar (TWD). Individuals who have a domicile in Taiwan and spends at least 31 days in Taiwan are considered tax residents. In addition, foreign individuals who stay at least 183 days in Taiwan are also considered tax-residents, regardless of their permanent domicile. Tax-residents and non-residents are subject to tax on their Taiwanese-source income. Tax residents’ income is subject to personal income tax at progressive rates up to 45% on income exceeding NTD 10,310,001. Non-residents are taxed at a flat rate of 18% on income derived from salaries and wages and 20 % on the rest. Foreign source income may be subject to tax at a flat rate of 20%, if foreign-sourced income is equal to or more than NTD 1 million with basic income exceeding NTD 6.7 million. A tax credit may be available for foreign tax paid. Interest income is usually subject to a final withholding tax of 15%. Dividends received by a tax resident are taxed only once, at the personal level. Capital gains from the sale of real estate are usually treated as ordinary income and subject to personal income tax normal rates. However, if taxpayer fulfill certain requirements, taxable income under NTD 4,000,000 may be tax-exempt and over NTD 4,000,000 may be subject to a reduced rate of 10%. Capital gains from the sale of shares are not subject to taxation. It is expected that in 2018 will come into force controlled foreign companies regulations, details have not been announced yet. Taiwan levies a land value tax at progressive rates from 1% to 5.5% on urban and rural lands. A transfer tax between 4% and 6% is levied on the transfer of real property deeds. There is an estate and gift tax on worldwide assets of Taiwanese-domiciled individuals. There is no tax on net worth in Taiwan. V.A.T. standard rate is 5%. Certain products and services are zero-rated. Regarding corporate taxation, resident entities are subject to a 17% tax on their worldwide income, irrespective of source. Taxable income up to NTD 120,000 may be tax exempt and undistributed profits may be subject to a surtax of 10%. To learn more about Taiwanese corporate taxation, legal framework and tax treaties, check out incorporations.io/taiwan. Flag Theory | Passports.IO and our attorneys in Republic of China (Taiwan), will guide you through each step of the process to ensure that it is as fast, efficient, pain free as possible. First, we will review your project and do a due diligence check on you to ensure that you are eligible for this visa. If required, we will handle the incorporation process of your Taiwanese Company and introduce you to banks in order to open bank accounts. We can also provide assistance to find funding for your start-up. Once done, we will prepare all the documentation required to apply for an Entrepreneur visa. We will send you the application forms, and provide assistance to complete the questionnaires. Application shall be submitted to one of Taiwan’s overseas representative offices or to the Ministry of Foreign Affairs (MOFA), which will pass the application on to the Investment Commission, MOEA for examination. The application should be processed in a maximum period of 3 months. After your application is approved, you will have to visit Taiwan and apply for the Alien Residence Card. After that, you may sponsor your dependents for a visa, we can handle this procedure if required. For further information on Taiwan’s Entrepreneur visa, contact us for a free private consultation.